At this year’s PAX East convention, developers, Gun Media, debuted a new game trailer for Friday the 13th: The Game and the slashings are brutal. The upcoming survival horror features Camp Crystal Lake’s very own Jason Voorhees carrying out gruesome killings on poor, unsuspecting teen campers. Friday the 13th: The Game first gained press attention and fan support when the Kickstarter was launched back in October 2015. Since then, the developers have kept the gaming community updated with semi regular revealings. Despite a delayed release date, development seems to be coming along smoothly and from the looks of the trailer, we are in for a bloody good time. 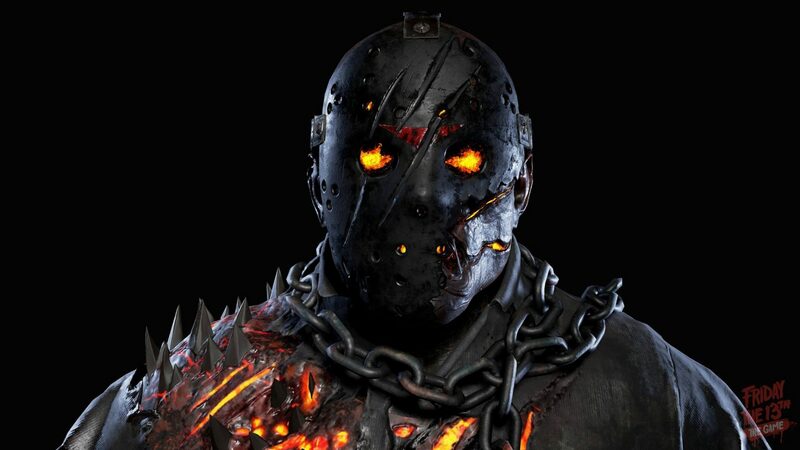 The new character skin model, “Hell Jason”. Imagine the look on the campers’ faces. Gun Media have also unveiled a new character skin model called “Hell Jason”. What’s even more exciting is horror legend Tom Savini is behind the creation. For those of you who don’t know who Savini is, he was the special effects and makeup artist on the first Friday the 13th film in 1980 and The Final Chapter in 1984. It’s as if Jason has risen from the fiery pits of Hell with this look, just like in 1994’s, Jason Goes to Hell. His skin is charred and melted around the mouth with hellish flames for eyes and teeth. There are several cuts across his face and the rest of his body is an equal split of fire and spikes. As of now, the skin is only available as a DLC that you may pre-order for $5.99. The DLC also includes a new unique weapon for players to terrorize campers with. 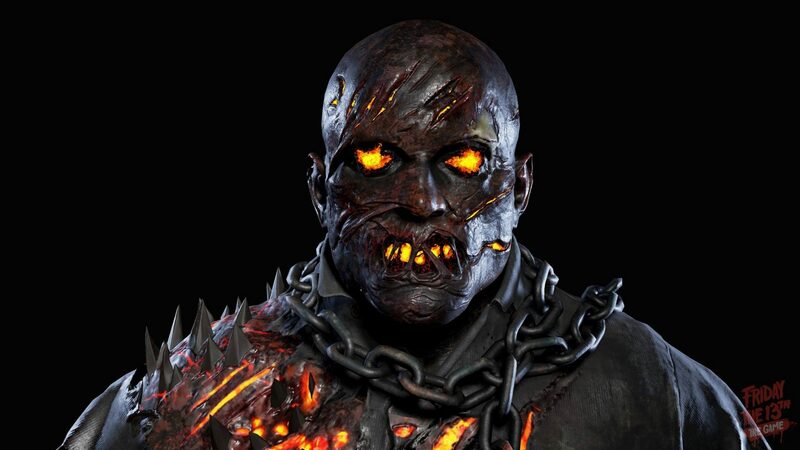 A look at the ‘Hell’ skin model without the mask. Jason does not look happy. Friday the 13th: The Game is set for an Early 2017 release so we should be seeing it any day now. A twitter post has confirmed that the release date still stands. Developers do promise an official release date reveal soon and ask for our patience until then.